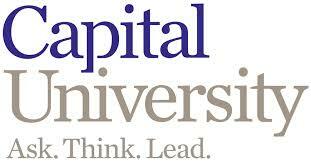 Capital University is a comprehensive, independent university, grounded in the Lutheran tradition. It offers diverse undergraduate and graduate programs in the arts, sciences and professions. It emphasizes excellence in teaching in a personalized, student-centered environment of robust academic challenge. It is committed to using multiple approaches to intellectual development to serve the lifelong learning of a heterogeneous population. It seeks to prepare individuals to live holistic lives of leadership and service.